Every dedicated teacher spends hours looking for teacher freebies on the internet. I mean, why recreate the wheel if you don’t have to, right? It’s a tedious process, but worth the reward when you stumble across something that makes your lesson more fun, interactive or effective! I’ve put together this running list of my favorite freebies in hopes that it’ll save you some time. In the interest of full-disclosure, I have NOT been paid to include any freebies on this list. 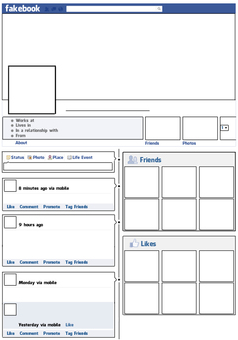 Print off this blank “Facebook” profile and have your students fill it in with information about book characters, famous authors, historical figures, scientists, artists and more! 28 fun writing prompts for primary grades include four different styles of questions and are aligned to Common Core standards. 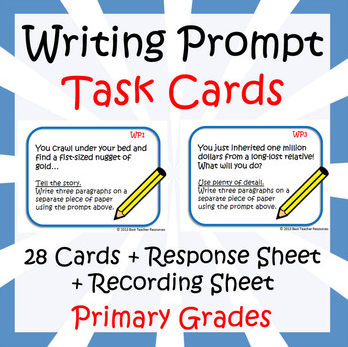 This teacher freebie also includes a task card recording sheet and task card response sheet. This lesson plan can be edited to work with any class schedule. All you have to do is change the “Week” field at the top and it automatically updates the days of the week. This is a great tool for students who are just learning how to write a five paragraph essay. Print off this easy-to-use KWL chart and make copies for your class! This easy-to-use table helps students practice spell shape names, draw the figures, and count the numbers of sides and vertices. 26 pages of reproducible word work activities that can be used with a word work station. Cute stuff! Rachel Lynette offers 24 free paragraph cards designed to practice important reading skills like determining author’s purpose, summarizing, inference, predicting, and more. Teach your students the meanings of different Greek roots by using these colorful flash cards in your class! They’re great for preparing your students for standardized tests. These welcome banners are so adorable! I can’t wait to use them in my class. 11 slides with beautiful pictures and concise explanations. This is a great introduction to any life science class, grades 4-12. These highly visual prompts meet Common Core Writing Anchor Standards and can be used for upper elementary, middle school, and high school! If you’d like to submit a teacher freebie for consideration, please email me at bestteacherblog[at]gmail.com. Please include the URL, a short description and appropriate grade levels.